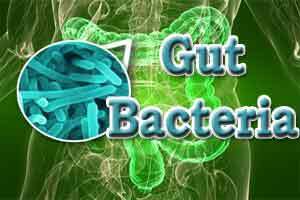 Major changes in the balance and make-up of gut bacteria occur within 72 hours of serious injury/trauma, reveals a small study, published in the online journal Trauma Surgery & Acute Care Open. These changes may influence the chances of recovery or death and might enable doctors to stave off critical illness, suggest the study authors. The gut has a key role in responding to injury, and the composition of gut bacteria (the microbiome) has been linked to various aspects of human health. But it’s not clear what changes occur in the guts of people who have been seriously injured. The authors, therefore, assessed the numbers and types of bacteria in the stool samples of 12 critically injured patients. They had all been admitted to intensive care at one major trauma center after sustaining serious and/or multiple injuries. The samples were collected on admission, and then again 24 and 72 hours later. These were compared with stool samples taken from 10 patients treated at the same trauma centre, but who had not been seriously injured and who didn’t require intensive care. All but one of the patients was male; the average age was 49, but ranged from 20 to 85.The first of the samples taken showed comparable numbers and types of gut bacteria in the two groups of patients, but substantial differences began to emerge by the time the second sample was taken. After 72 hours, the samples showed that bacteroidetes, fusobacteria, and verruccomicrobiaceae bacteria were all depleted, whereas clostridia and enterococci species had all increased. “The short time course in which such alterations occur is also notable–such relatively rapid alterations in intestinal microbiota represent a critical and previously unrecognised phenomenon that may influence clinical course and outcomes after severe trauma,” write the authors.They acknowledge that the sample size is small, and studies involving many more patients would be required before any firm conclusions could be drawn about the possible impact of these microbial changes. But they point to other relevant research, including laboratory studies suggesting that critical illness may be linked to clinically significant changes in the microbiome, and recent research of burn injury patients, showing major changes in the composition and number of gut bacteria that may be associated with a heightened risk of sepsis.“The gut bacterial community is known to modulate inflammation, and is related to a range of clinical outcomes in the patient who is critically ill,” they write.